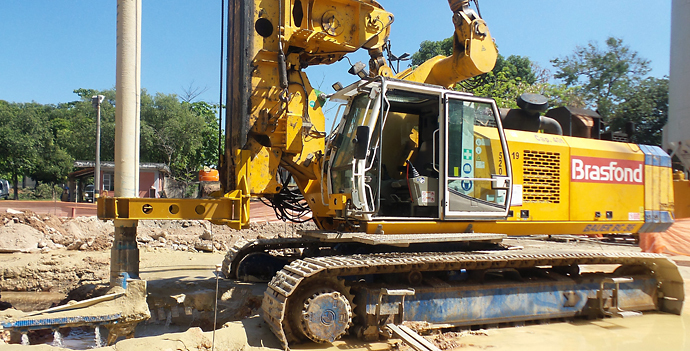 Environmental geotechnics is understood as a branch of geotechnical engineering which deals with the protection of the environment against human impacts. Industrialized countries have inherited an environmental legacy of contamination and are currently known to have environmental liabilities in dire need of action to reclaim contaminated areas to a safe condition for human health and the ecosystem. Several technologies have been developed to recover losses from affected areas and spread worldwide to mitigate liabilities. 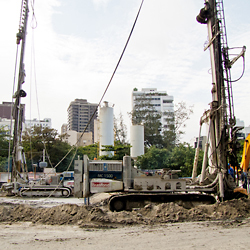 Brasfond continually meets the demands of our clients and has perceived the need to bring technologies that are best practices worldwide to be introduced to the environmental market so that we can offer geotechnical solutions to be applied in contaminated areas. Several technologies can be applied to install impermeable walls (hydraulic barriers), confinement, funnel and gate, reactive barriers, stabilization and solidification of contaminated soils, along with other underground technologies applicable for the management of affected areas and for performing foundations without removing contaminated soil. Brasfond is concerned with environmental issues and has been improving its preventive culture, by replacing the use of bentonite for biodegradable polymers, confining and treating contaminated areas and seeking to minimize environmental and social impacts. In April 2011, Brasfond signed a partnership agreement and a technical cooperation agreement with the American company Geo-Solutions Inc. The company has been more than 20 years in the global market and it has well known specialists working in extremely complex projects. 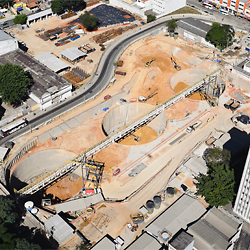 In Brazil the partnership allows the selection of the best practices and solutions for various environmental problems. 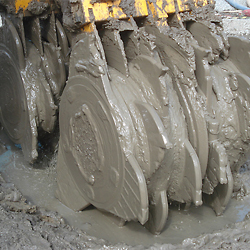 The Cutter Soil Mixing (CSM) process consists of the onsite construction of impermeable panels whose geometry is similar to that of a diaphragm wall, where the soil is used as construction material. Hydromill is composed of a heavy steel frame to the bottom of which are mounted two gear boxes. These gear boxes, are in turn, composed by two wheels mounted with special rock bits around it. 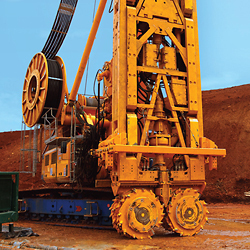 The use of hydromill in the excavation of soil or rock panels has significant advantages over conventional methods, as it can be used to drill panels to depths of up to 390ft (120m). A diaphragm or slurry wall is a vertical barrier excavated with the use of "coulis" (a mixture containing cement, bentonite and water), so as to reduce horizontal percolation. For improved efficiency, the wall must penetrate the underlying layer of impermeable soil. Specifications, construction sequences, equipments and application characteristics.